Music makes the holidays bright! 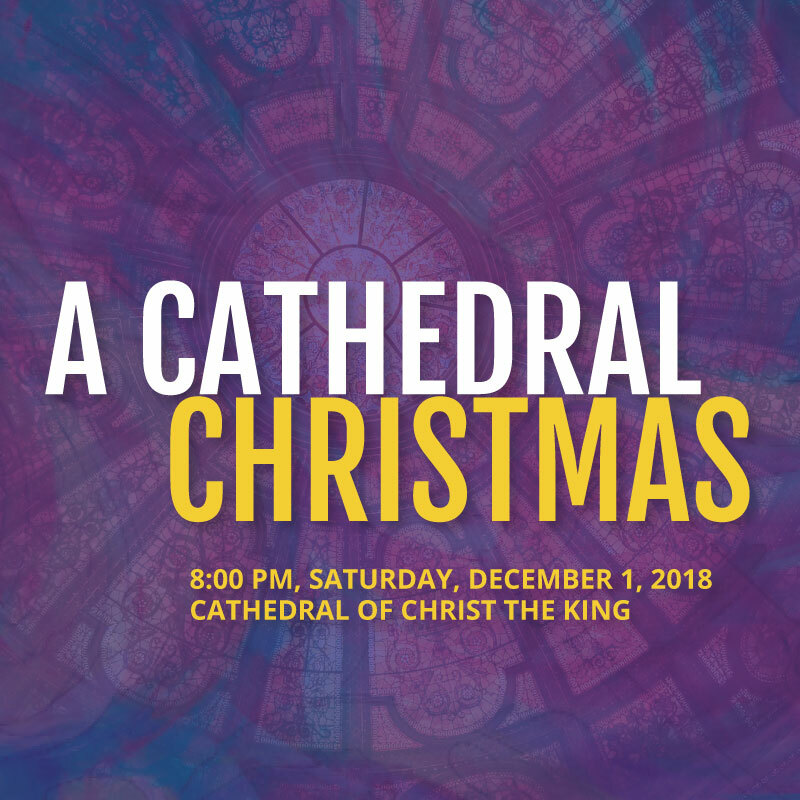 Saturday, December 1st, 2018 at 8:00 pm, join LexPhil at the magnificent Cathedral of Christ the King for this Lexington holiday tradition. The Lexington Chamber Chorale, led by Dr. Gary Anderson, and Ecco Chamber Choir, led by Dr. Vicki Bell, join LexPhil to present an array of sacred repertoire, including Vivaldi's Concerto for 2 Trumpets featuring LexPhil trumpets Joseph Van Fleet and Stephen Campbell, and two works by Vaughan Williams; Fantasia on Christmas Carols and The First Nowell: A Nativity Play. Excerpts from "Retablo de Navidad"
The Lexington Chamber Chorale brings a rich and unique choral repertoire to Central Kentucky audiences. Since its humble beginning as the Sine Nomine Singers, the Chorale has enjoyed celebrating the art of choral singing through performing interesting and challenging pieces of music. Chamber Chorale concerts also enrich our cultural community through creative collaborations with guest artists and musicians. The passion for singing and the continued pursuit of musical excellence inspire the singers to present quality programs that touch both mind and spirit. ECCO is an a cappella chamber choir based in Lexington, KY, and conducted by Dr. Vicki Bell. The choir, established in 2008, is comprised of 24 singers, and the group’s name comes from the Italian word meaning “behold” or “listen”. 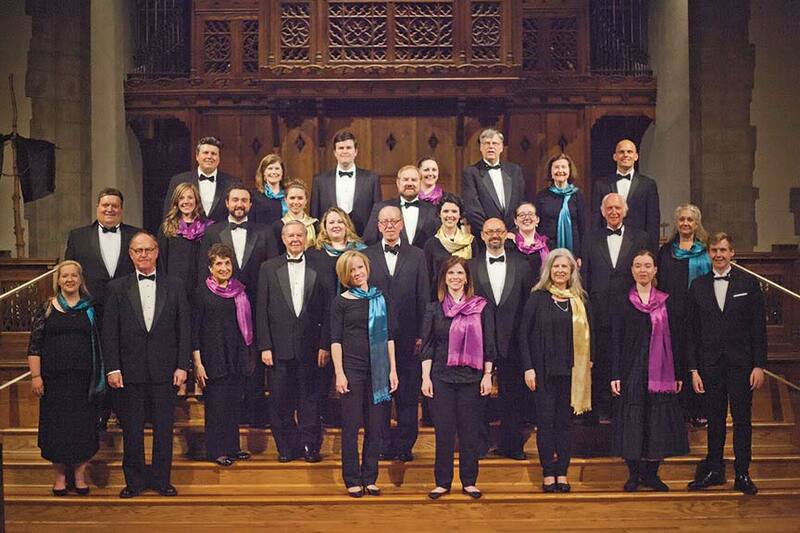 In an area lled with university and professional choral ensembles, ECCO has carved a niche by focusing on Renaissance sacred a cappella music, although members are also attracted to modern choral repertoire, leading to the inclusion of music from all style periods in the group’s programs. Mezzo-Soprano Megan Mikailovna Samarin was featured at Houston Grand Opera for the fourth consecutive season to sing the role of Sesto in Julius Caesar, opening at the Resilience Theatre in the George R. Brown Convention Center, and Carla Mae in the world premiere of Ricky Ian Gordon’s The House Without a Christmas Tree. Ms. Samarin was featured at Wolf Trap Opera as Idamante in Mozart’s Idomeneo. Concert highlights included Wolf Trap Opera’s Aria Jukebox Concert, Wolf Trap Opera's Vocal Colors Recital at the Philips Collection, and The Richard Tucker Music Foundation Rising Stars Concert in Vail, Colorado. 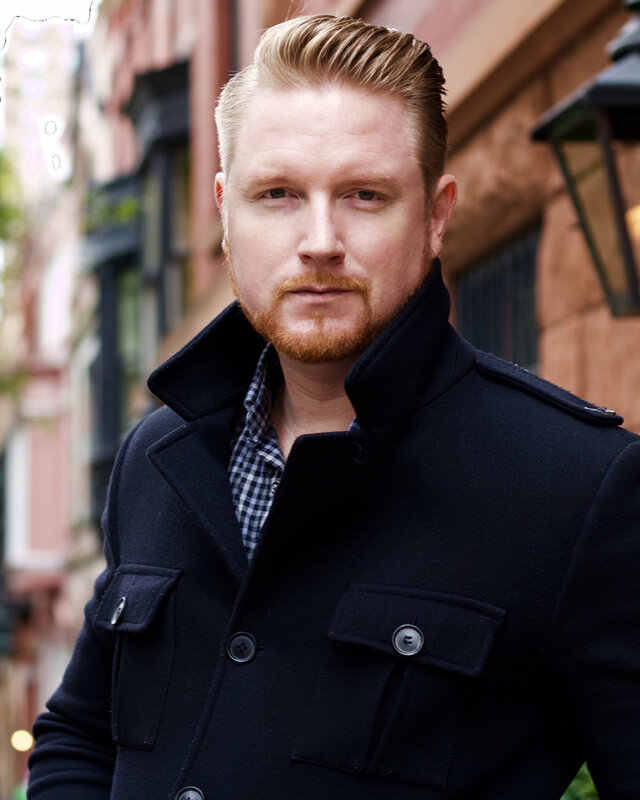 Praised for his “commanding sonority” (Opera News) and described as “handsome, agile and with a voice to match” (Boulder Daily Camera), Bass-Baritone Christopher Job is a “rising star on the American opera scene” (Grand Junction Free Press). Other career highlights include creating the role of Senator Thomas Jordan in the world premiere of The Manchurian Candidate by Pulitzer Prize winning composer Kevin Puts with Minnesota Opera; his debut with Ash Lawn Opera as Olin Blitch in Susannah, a role he also performed at Opera Idaho (where he returned in 2017 as Dulcamara in L'elisir d'amore); the title role in Le nozze di Figaro with Fargo-Moorhead Opera; and the roles of Basilio in Il barbiere di Siviglia with Virginia Opera; Colline in La Bohème at Lyric Opera Baltimore; the 5th Jew in Salome at Palm Beach Opera; the High Priest of Baal in Nabucco with Lyric Opera Baltimore; Escamillo in Carmen with Lyric Opera Virginia; Ashby in La fanciulla del West, Kilian in Der Freischütz and Angelotti in Tosca at Des Moines Metro Opera; and Caronte in Monteverdi’s L’Orfeo ed Euridice, the Poet in Philip Glass’ Orphée, and Capellio in Bellini’s I Capuleti e i Montecchiat Glimmerglass Opera. The traditional story of Jesus’s birth is seeded with the theme of acceptance: while the innkeeper has no rooms left to rent, he accepts Mary and Joseph into his stable, unwilling to let them remain out in the elements; when the three magi from faraway lands arrive to offer gold, frankincense, and myrrh to the newborn child their offerings are accepted as sincere, without concern for the seemingly unusual clothing, countenances, and cargo. Tonight, the Lexington Philharmonic returns to the splendid setting of Cathedral of Christ the King to present an evening of Christmas storytelling, including two tellings of the nativity story from diverse perspectives. We will hear Spanish composer Joaquín Rodrigo’s youthful Retablo de Navidad alongside Ralph Vaughan Williams’s Anglican-infused First Nowell. The political unrest of the early twentieth century—whether in the form of the Spanish Civil War or the Two World Wars—deeply impacted these artists, and yet they are both able to offer works of compassion and solace. The program is rounded out with additional carols and music from Vaughan Williams’s contemporary Peter Warlock and the Italian Baroque master, Antonio Vivaldi. Antonio Vivaldi’s instrumental works highlight the majesty of Baroque splendor, setting the stage for a glorious evening of music. It is possible to imagine the regality of the trumpet soloists in the expanse of St. Mark’s Basilica in Venice, for which Vivaldi’s musical predecessors such as Giovanni Gabrieli had written antiphonal canzonas to ring throughout the rafters. The beautiful acoustic of the Cathedral of Christ the King here in Lexington is the perfect setting to enjoy the exuberance of the virtuosic Concerto for Two Trumpets. Joaquín Rodrigo is likely best known for his flamenco-evoking guitar concertos, chiefly the Concierto des Aranjuez, which led to international fame for the Spanish composer in 1939. The Retablo de Navidad (Christmas Tableau), written in 1952, is one of Rodrigo’s most personal works: eight songs for soprano, bass, chorus, and orchestra, for which the composer’s wife, Victoria Kamhi—a pianist of Turkish and Sepharidic Jewish heritage— provided most of the poems. Over the course of this cycle of verse the singers describe the joy and elation of the townspeople of Bethlehem at the birth of the Christ child in Cantan por Belén pastores (Shepherds sing in Bethlehem), as well as the tenderness with which he is entreated to sleep and rest in the earthly world in Duérmete, niño (Sleep, Little one). In the touching La Espera, the soprano sings of the expectancy of waiting for the child’s arrival. The carols of English composers Peter Warlock and Ralph Vaughan Williams enrich this evening of storytelling. Warlock’s most famous instrumental work is his Capriol Suite which highlights six different renaissance dance forms. In Bethlehem Down (1927), Warlock takes his deep familiarity with the English choral tradition and sets the writing of his friend Bruce Blunt on the arrival of the three majestic kings at the birth of Christ: “‘When He is King we will give him the King’s gifts / Myrrh for its sweetness, and gold for a crown / Beautiful robes,’ said the young girl to Joseph / Fair with her first-born on Bethlehem Down.” This instrumental version for string orchestra beautifully preserves the sense of mystery and wonder of the original choral anthem. Vaughan Williams’s Fantasia on Christmas Carols, also embedded in the ubiquitous British choral tradition, was writing originally for the Three Choirs Festival of 1912 held at Hereford Cathedral, which sits on the Wye River in the West Midlands. Vaughan Williams includes some familiar tunes, such as Come All You Worthy Gentleman and the Sussex Carol, in this lovely work for baritone, chorus, and orchestra. Ralph Vaughan Williams’s nativity play The First Nowell was the composer’s last completed work before his death in August 1958, and the work was premiered posthumously during the Christmas season of that year. He had been approached to compose music for a fundraising event at the Drury Lane Theatre in London’s West End to bene t a charity that supported children who had come to the United Kingdom as refugees. It is hard to imagine a more poignant cause for a country that once evacuated its children and other civilians from city centers like London into the relative safety of the countryside during the extensive bombing of World War II. Separated from their parents, these children were accepted into the homes and schools of surrounding counties for extended periods of time. Vaughan Williams weaves together his own musical ideas along with some familiar Christmas tunes to present this heartwarming holiday offering. From the expansive glory of St. Mark’s Basilica to a humble Bethlehem manger, from a London theatre to our own Cathedral of Christ the King, tonight’s program reminds us of the importance of acceptance in our lives, especially in this season of birth and welcoming.